ready made frames for you to choose from. 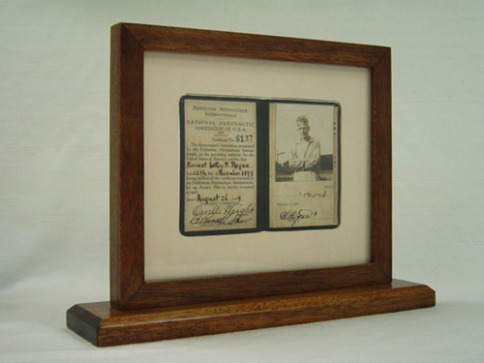 We specialize in custom framing with an emphasis on conservation framing. Some of our specialties include oversize works, period reproduction frames, art and frame restoration, object framing, needlework, frame selection and customer service. 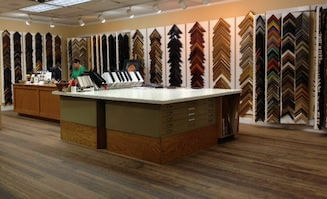 Our full time staff members and the owner of MKFS have between 20 to 30 years experience each in the framing industry. Gary, Sue, Laura, Val and Greg all bring a deep understanding of the process to every framing project, from design to completion. Art placement, installation, delivery/pick up and storage and collection management are also an added bonus in the repertoire of what MKFS provides. Our team can also accommodate corporate framing projects, art appraisals and the sale and procurement of fine works of art. Our art hanger, Greg has framed and installed works by such artists as; Van Gogh, Rembrandt, Picasso, Basquiat, Cassat and Hirst, just to name a few. We know your art is precious to you. No job is too large or too small, and Greg will make sure the job is done carefully, with expertise, aesthetic sense, precision and the quality care your art and home deserve. Greg will install your art with the same care that would be taken to hang the art of the masters. Our staff at the Mount Kisco Frame Shop can frame and install just about anything. Our Award Winning Designers will assist you in creating a stunning framed work of your art or picture that will complement and enhance your home. Serving the Greater Mount Kisco area. "Wow! What a great selection of frames and custom styles in their showroom. Plus, the staff's knowledge and guidance is priceless. I highly recommend stopping by!"